Recently Jiangxi Yudu Zhengyi Paper Mill ordered a Drum pulper in our company, and then ordered a Chain Conveyor and Drum pulper accessories for their new 400T/D high strength corrugated paper production line. This is the second cooperation between Leizhan and Zhengyi company, capacity of this corrugated paper production line is 400t/d, is a big paper making line, so they choose 1800mm Chain conveyor and ZG3250 Drum Pulper, Drum pulper is used in big capacity(more than 80t/d) paper making line, this can save energy, and break waste paper better. Break waste paper into pulp is the first stage, the Drum pulper can replace the whole set break equipment, can reduce the number of paper equipment, meanwhile in big capacity paper pulping line, compared Drum pulper with other pulper equipment in the same capacity, the Drum pulper is more energy efficient, and has smaller power. 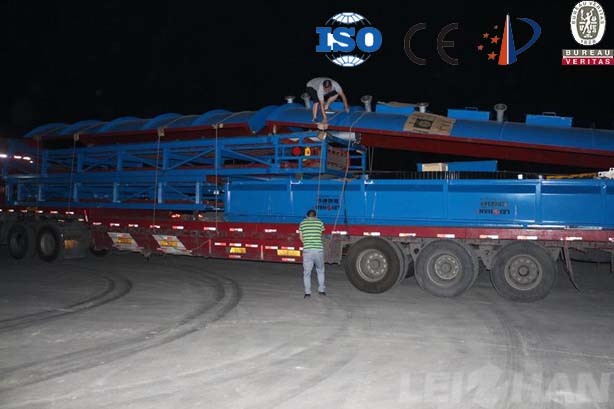 Why many customers order a complete pulping line in our company? Why many customers order a complete pulping line in our company? Every paper making friends want to get more capacity with less energy consumption, and our company Leizhan can help you to make it true. So how can we do it? Firstly our paper pulp machine adopt advanced technology, can reduce energy consumption as much as possible, in pulping process our coarse and fine screening equipment can break the fiber better to meet the paper making requirement, so we don’t need Refiner equipment, this can save a lot of power. So if you want increase your capacity and save power, Leizhan paper pulp making machine is your best choice, welcome to consult us.